What is a Zip Level? How Does Zip Level Work? When to use Zip Level? How Accurate Is Zip Level? Is Zip Level An Alternative Of Rotary Laser Level? Is your construction business really important to you? Do you think it’s time to step up your game and upgrade your arsenal so as to catapult your business to a greater height? Then you need to add a flexible and high-precision elevation measuring equipment such as the Zip Level Pro-2000 to your toolkit. The beauty, accuracy, durability and efficiency of construction projects are not only influenced by the materials used but also by choice of the equipment employed by the contractor. Hence, there is a need for you to select the best choice of equipment and tools to handle your construction projects. This article will take you through a comprehensive review of Zip Level Pro-2000 by Technidea Corporation, showing you its features, explaining why it is highly recommended by professional contractors and what to expect from its purchase and usage. The ZIPLEVEL (a.k.a Zip Level) is an exciting innovation in the world of leveling and elevation measurement. It is a proven technology which is designed for reliability and has been in use for more than a decade. ZIPLEVEL is a precision altimeter which is not only used in leveling but also measures elevations directly in crystal clear digits. Zip Level has been recognized by thousands of users and contractors all around the globe as the tape rule of elevation measurement. 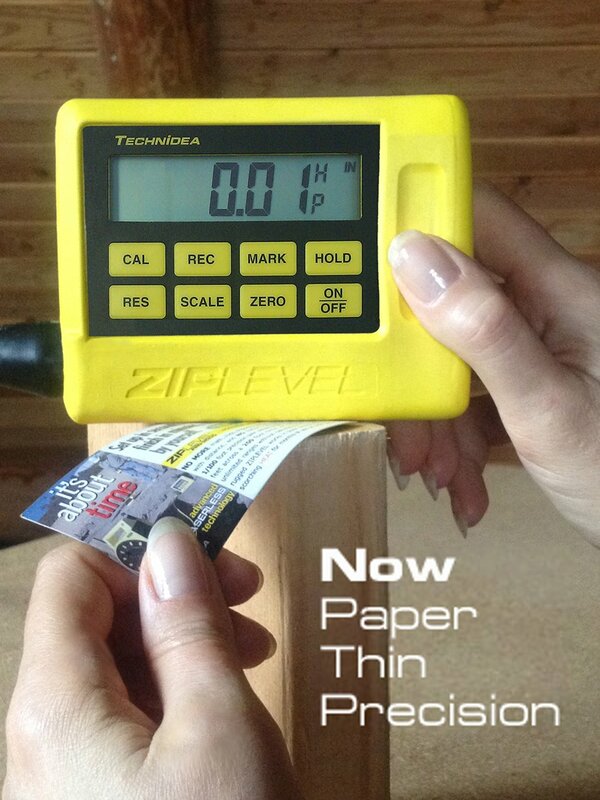 Indeed, Zip Level is a “rugged elevation tape rule” as it is built to withstand the effects of sunlight, abrasion, temperature, impact and humidity. ZIPLEVEL PRO-2000 High Precision Altimeter is highly durable, its estimated service life ranges from 1 to 3 decades or even more depending on its handling and maintenance. The Zip Level is a brilliant tool which can be used to take readings both indoor and outdoor with no distance error, it can be easily moved or carried from places to places and requires just a single person to operate. It is also self-calibrating and requires no math and “line of sight”. Unboxing the Zip package after purchase, you will find the ZIPLEVEL PRO-2000, Cord, Unipod, protective boot, anchoring stakes, a 9-Volt alkaline battery and user guide neatly packed into the box. The level is made up of two main units, the handheld Measurement Module (MM) and the Base Unit (BU) connected together by a wireless 30-meter cord which transfers elevation data from BU to the MM. When multiple readings are to be taken, Unipod can be used in order to avoid constant bending. All the components of the level are contained and stored in the Base Unit when the level is not in use. ZIPLEVEL PRO-2000 is an amazing pressurized hydrostatic altimeter. It comes loaded with several exciting features and built-in functions, giving it an edge over other conventional levels. The key features and specifications of Zip Level are discussed below. With Zip Level, you can impress your clients with fast and accurate measurements. Setting up the Zip Level to take measurements or packing it up after usage is easy and fast, you won’t have to waste precious time setting or packing it up. It normally takes less than 30 seconds to unpack, zero and read. Impressive isn’t it? Zip Level measures 40 ft (12m) vertical by 200 ft (60m) horizontal circle. The CARRY function ranges are unlimited with Internal Precision of 0.13 cm; 0.013 cm in High Precision (HP) range. Zip Level is drop resistant and designed to withstand rough handlings. The Measurement Module can withstand being dropped at 5 ft (1.5m) onto concrete while the Base Unit will remain undamaged when dropped accidentally at a height not more than 3 ft (1m) onto a concrete floor. Zip Level can withstand a high level of moisture; it can be gently rinsed with a hose but the Measurement Module should not be immersed. Zip Level comes powered by a 9V alkaline battery which can be found in the Measurement Module. The battery offers a year of normal daily use; recharging or frequent battery replacement is not required. This measuring tool saves settings and 137 readings indefinitely with or without a battery installed. There is no writing materials needed to record elevation data which can be transferred to the PC. Zip Level comes with IR output for optional PC Serial Interface cable, this makes it possible to view or transfer stored readings to a PC. The system is not so heavy, it can be easily carried to the job site using its plastic handle; its handheld Measurement Module weighs 1 lb (0.45kg) while the whole system weighs 12 lbs. (5.50 kg). Zip Level can be operated within the temperature range of -22°F to +158°F (-30°C to +70°C), it can be used during hot or cold weather and can be stored within a temperature range of -40°F to +158°F (-40°C to +70°C). Technidea Zip Level Pro 2000 also comes loaded with some hidden and powerful built-in functions which are discussed below. The unit shuts down after 4 min when the system is left idle without movement or pressing the key. This feature allows the Zip Level to preserve its battery preventing a frequent battery replacement. This feature makes it possible to use the system in a dimly lit areas or when the display is not visible. Pressing this key freeze the readings and elevation on the display till it can be viewed. The hold key is also used with other functions. This helps to make a current elevation a reference like the pool bottoms or large level steps, allowing the system to do the high or low math. This function makes it possible for you to take accurate readings in your preferred scale (fractional inches, decimal inches, feet, centimeters, and meters) and can also be used as a scale converter. This function helps to select a measurement resolution (measurement precision) of your choice. It helps to switch from a lower resolution which is used for faster, less precise rough readings to the highest resolution. With this function, you don’t have to keep staring at the MM display while carrying out the leveling task. It supplements the display, allowing you to create audible sounds at a selected elevation, and for elevations within or outside of a selected limit. With this RECord function, 137 readings can be stored for further processes. This function calibrates the system to adjust the accuracy of vertical readings; accurate measurements can then be taken with ease. Temperature Function – This shows the surrounding temperature, it is useful in concrete work or with adhesives. High Precision (HP) – As the name implies, this function allows paper-thin measurements to 0.1 mm in HP range. This function allows you to move the whole systems units over unlimited ranges to measure elevations without tabulation, calculations or loss of original benchmark plane. This function allows you to view the stored data or transfer stored data to your PC for tables, profiles, 3D or Topo maps. Zip Level shuts down automatically after a 4 min period of inactivity. The monitor function prevents Zip Level from shutting off. However, care should be taken not to overuse this function as it is capable of wearing off the battery. This function can also be used to monitor or log data on a PC. Zip Level is a pressurized hydrostatic altimeter which offers a high degree of accuracy. Its function is similar to that of an aircraft altimeter which gauges the weight of the air above it. Unlike the aircraft altimeter, the Zip Level does not depend on the atmosphere to measure elevation. Instead, the Zip Level uses a pressurized system which determines the weight of a proprietary liquid sealed in its Cord with regards to a Reference Cell located at the central part of its reel. This makes Zip Level highly accurate just as the aircraft altimeter and unaffected by barometric pressures and altitude changes. Its internal pressure stops bubbles from escaping from its liquid when under vacuum when the Measurement Module is above the Base Unit. The level simply operates by reading the difference in elevation between the MM and BU using the Cord. This means that no measurement can be taken without the Cord. 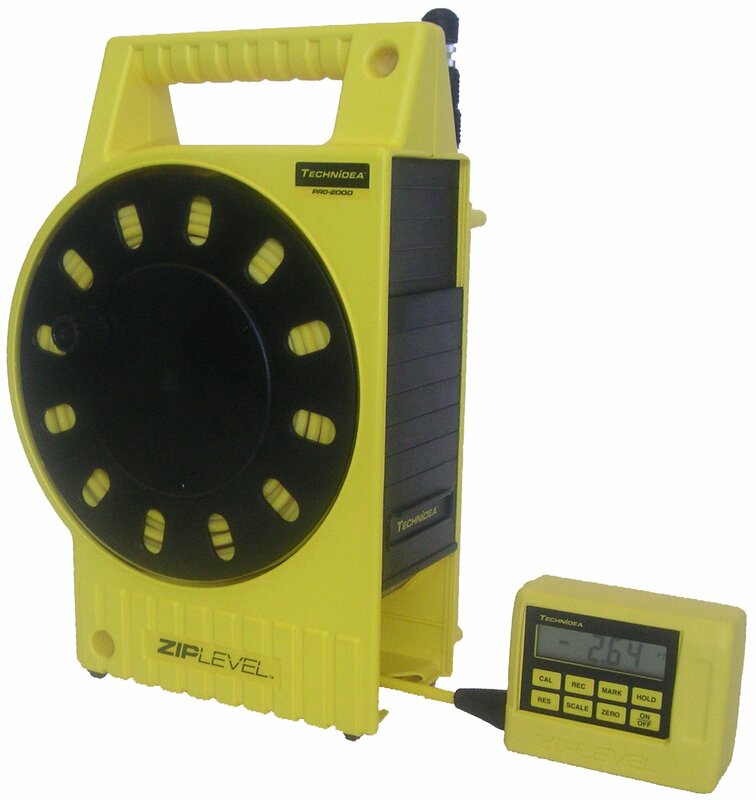 Due to its high accuracy and its ability to detect slight changes in elevation, the ZIPLEVEL PRO-2000 is being employed by engineers to measure floor or foundation deviations, real time beams, set pool negative edge and also to detect floor or bridge deflection. The level is also used to level equipment precisely and all other things that require leveling; the level application is limitless as it can be used in all the aspects of any construction project. Before buying any measuring equipment, the question about the equipment’s suitability, accuracy, and ease of use always come to the mind. How will you feel when you spend a considerable amount of money to get yourself a measuring equipment which later turns out to be less effective, producing measurements of low accuracy? You’d probably feel disappointed right? Professional contractors and engineers do not joke with accuracy as any slight mistake or error can mar a whole project. The ZIPLEVEL PRO-2000 High Precision Altimeter was however designed not only to facilitate the ease of usage but also to produce a great deal of accuracy. It comes with three different resolutions (precision) levels. The lower precision which is used to take rough readings, the medium or standard precision and high precision which can figure out the thickness of a business card. Zip Level is a precision sealed hydrostatic altimeter. It levels and measures elevations by reading the pressure generated by the force of gravity which acts on the net height of the proprietary liquid between the MM and the BU. A water level is a hydrostatic level that determines a level reference plane just like a rotary laser. The liquid in the Water level must be at the same height as the liquid used for leveling. It requires a calibrated rod and math to establish the differences between elevations. Water levels are predisposed to liquid evaporation, spillage, freezing and bubble formation since they are not sealed nor pressurized. The Water level liquid moves within a tube whereas the special liquid contained in the Zip Level is sealed within and not moving within its Cord. It is also pressurized using a proprietary gas so as to prevent the formation of bubbles. With Zip Level, you can bid goodbye to the use of tripods, tedious work, calculations, distance error, and easily walk past to avoid an obstacle or obstructions while taking measurements (no line of sight). It is not sensitive to tilt, required no factory calibration, all the exciting features which are absent in the Rotary Laser Level. It replaces the Rotary Laser Level in many applications as it is more accurate and let you work alone and quickly level or take readings using its clear display. However, the Rotary Laser Level is more suitable for grading over a longer distance, driveways, and 2% run off on a lawn install, or particularly when frequent multiple measurements over a large or long distance have to be carried out. For best rotary laser level comparison and review, read this article. Although no factory calibration is needed, but the system has to be calibrated in order to get accurate vertical readings. Leveling operations require no calibration. The level is self-calibrating, allowing you to handle the calibration exercise by yourself. You should check calibration before carrying out any vertical measurement especially when there is a change in temperature since the last calibration (causing CAL to flash on the display) or if you have never calibrated a new or newly serviced ZIPLEVEL. Zip Level is tough and offers a broad temperature range but should be properly maintained to enhance its durability. Avoid too much pressure on the Measurement Module, guild the Cord with your left hand while handling and measuring with the right. Avoid dropping the MM or using it in place of a hammer; always use the protective boot when possible. After using the level in a muddy area, clean the Cord with a piece of cloth before reeling in. Avoid the immersion of the MM in water or other solvents. Do not place a hot object on any part of the level. Do not leave the level outside over the night or in an extreme weather condition. Pack and store in a cool dry place when not in use for a long period of time. Switch off the system when not in use or remove the battery when the level will be left unused over an extended period of time. In a situation when the Cord gets damaged or cut, bend the Cord over and wrap with a wire or tape to stop the liquid from flowing out. Wipe off the liquid and return the level to the factory for repair and service. Return the level to the factory for service whenever the display flashes “CORD.” However, this would only happen within every 2 to 3 years of using the level. Do you want an accurate level, which is durable and easy to use for your leveling and elevation measurements? The ZIPLEVEL PRO-2000 High Precision Altimeter is definitely your best bet. It is most suitable for professional contractors, home inspectors using it on a regular basis and it’s also being employed by engineers and contractors who do not joke with accuracy to handle multiple construction tasks without wasting time. Zip Level is affordable and a bit costlier than the Rotary Laser Level, but looking at its functions, you will agree that quality has to come at a price. Step up your game, boost your profits, and consider getting yourself a ZIPLEVEL PRO-2000 today as it remains a reliable companion you cannot do without.